we have the above printer and I need to order a colour cartridge that is compatible with the one we have which is Kodak Colour Ink Cartridge 10C 4K0037. Can you confirm which ones of the Kodak ones on your web site I need to order? Thank you for your question. The ink cartridges you require for your printer are the Kodak 10 ink cartridges. I have included the link to our website below so you can see all the items compatible for your printer model. https://www.cartridgesave.co.uk/ink-cartridges/Kodak/ESP-9250.html If we can be of any further assistance please do not hesitate to contact us again. Perhaps you are squandering time searching online for cheap deals on the particular printer ink you need? It's possible to find the best cartridges which are specifically made for the Kodak ESP9250 printers at Cartridge Save. Order your replacement cartridges at Cartridge Save and say farewell to searching local shops and researching offers to get cartridges that are compatible with your Kodak ESP 9250 printer. It's easy to start saving cash now with Cartridge Save! You have complete customer satisfaction by ordering Kodak ESP 9250 cartridges here thanks to our no fuss cash-back guarantee. We'll make it easier to save you even more money because everything for sale comes with totally free delivery, normally arriving following day. To save with the best offers, amazing customer services and fast delivery, then shop at Cartridge Save! Aimed at discerning users looking for an affordable multifunction printer for home or a small office setting, the Kodak ESP 9250 promises low initial and running costs while letting users enjoy perks such as wireless and direct printing. Unlike previous all-in-one devices, this printer comes with a speedier fax machine and a high-resolution scanner. However, Kodak failed to improve its paper capacity and the scanner quality. 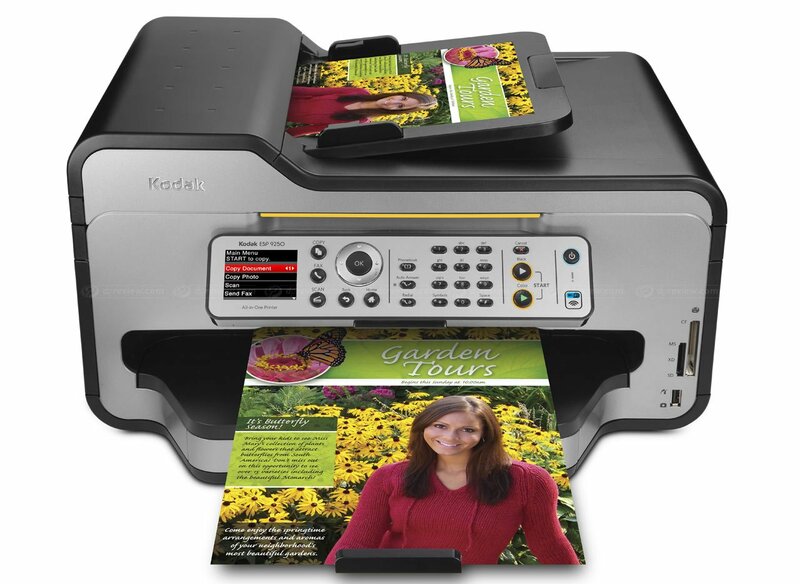 The Kodak ESP 9250 is a high-end multifunction printer with a wide range of features for small offices. It features an easily accessible control panel and an LCD (2.4 inches). Like the ESP 9, this printer boasts a range of connectivity options including Wi-Fi support, PictBridge, memory card slots, and hi-speed USB 2.0. The CIS scanner is still the same, with a maximum resolution of 9600 dpi. The copier can produce as many as 27 ppm in monochrome and 26 ppm in colour. Printable templates are offered on the Kodak ESP 9250. It lets you print grocery lists, lined and graph paper, sheet music, and games. The control panel is intelligently designed and looks futuristic, while the mobile printing capabilities let you print directly from your smartphone or tablet PC. Kodak improved the fax machine and gave it a 33.6 Kbps modem. A lot of praise the Kodak ESP 9250 for its cheap inks. However, the Kodak ESP 9250 consumes a lot of ink, so you end up buying more cartridges especially if you have to do high-volume printing. The automated document feeder often fails to adjust itself according to the correct type of media that you are using, causing paper jams. The machine is also noisy. Kodak may also need to take a look at the ESP 9250's scanner because it tends to over-saturate the colours, so pictures appear darker than they really are.